OG HAVING NEW YEAR SALE STOREWIDE WITH 20% OFF TILL 1 JAN 2018! 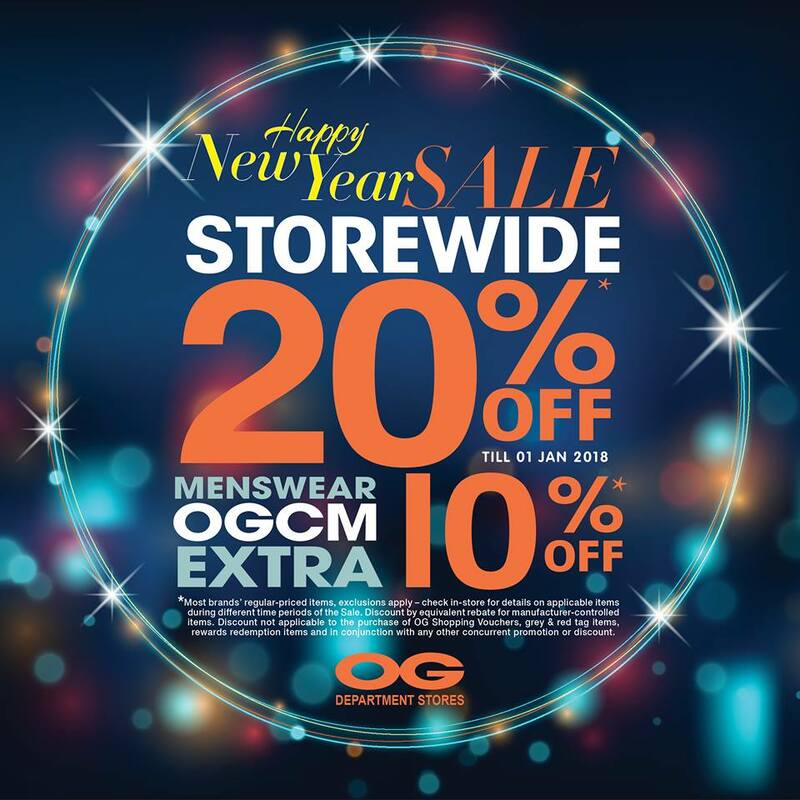 You are at:Home»Featured»OG HAVING NEW YEAR SALE STOREWIDE WITH 20% OFF TILL 1 JAN 2018! Celebrate a happy ending to 2017 and say hello to 2018 with our storewide 20% off sale from now till 1 Jan 2018! It’s an opportunity to start shopping for the upcoming CNY celebrations too! And if you are an OG Card member, you will get to enjoy an extra 10% off menswear! Previous ArticleGET TWO TUBS OF BEN AND JERRY ICE CREAM @ $19.90 AT COLD STORAGE TILL 30 DEC 2017! Next Article President of Kazakhstan Nursultan Nazarbayev signed the Code “On Subsoil and Subsoil Use”, aimed at improving the subsoil use regulation system.